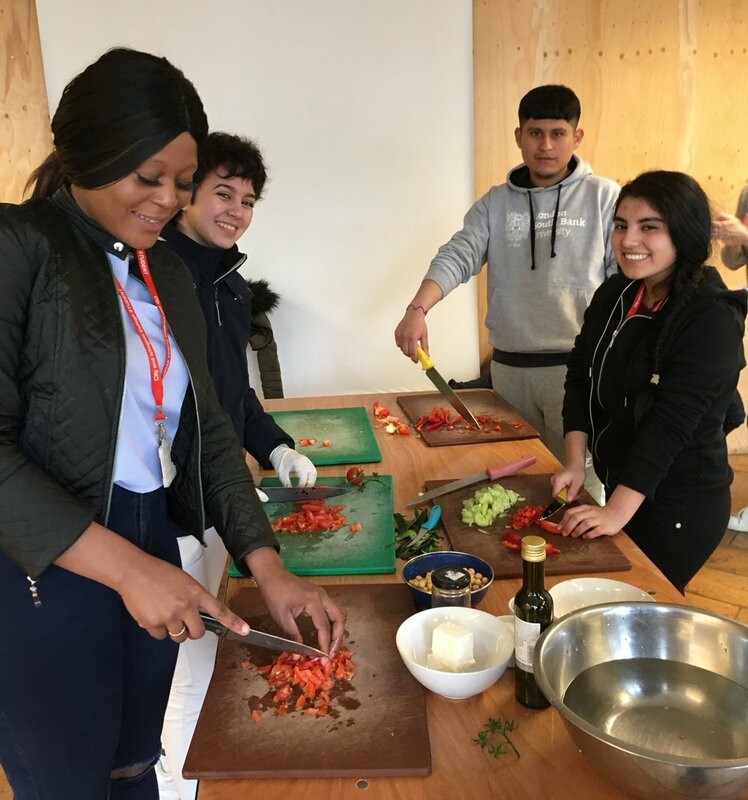 The Create Project, which we set up in 2017 to support students aged 16 to 18 from City & Islington College’s ESOL (English for Speakers of Other Languages) department, has gone from strength to strength as we have deepened our experience of working with the different classes’ language needs. The project is designed to help the students practise their English skills through fun and engaging hands-on activities in and around our Skip Garden. And, cohort after cohort, thanks to the spirit and energy that the groups and their teachers bring, it continues to be a soul-enriching highlight of Nicole and I’s otherwise busy calendars. Having said that, special mention does need to go to the last group - Fiona and her class of 17 stellar students! They hail from places near and far, including Afghanistan, Albania, Bolivia, Congo, Dominican Republic, Ecuador, Eritrea, Ethiopia Peru, Spain, Sudan and Yemen. We welcomed in spring with the students, some new to Global Generation and others coming back after an introduction early last year. Starting off with exploring the theme of “where we come from: getting to know ourselves, each other and the garden”, the students created beautiful beeswax candles, made pollinator-friendly wildflower seed-balls, made a fire and collectively cooked dampers over it, sweetened with Skip Garden honey. For the second session, we were joined by UAL: Central Saint Martins Ceramic Design graduate Ewelina Bartkowska, who brought fun, jokes and pinch-pot making skills to the group. After getting their hands all up in some clay making and re-making abstract pieces, the group created lovely ceramic pieces, ranging from teacups and saucers to trinket pots and mini-trophies and vases. Ewelina bisque-fired these at CSM, before bringing them back the following week for the students to glaze. We were super-excited as they could then be fired in our Skip Garden kiln - so great for the students to see their pieces throughout all stages of production. We stretched the students’ creative skills in week three by challenging them to think outside the box to make the most well-engineered structures out of nothing but the humble recycled newspaper. After the first daunting five minutes of racking their brains in small teams, the students began to get in the competitive to see who would come up top! We then introduced them to their next task - creating bench seating for Global Generation’s Story Garden with our new Community Build Manager Martina. It was great seeing Martina and the three teams in action, with drills and saws a-plenty! One of the group’s highlights was in the penultimate week, when we walked them down to see the very first stages of said Story Garden site, before going into the British Library, where the Community Engagement team very kindly booked us some space where the students could get even more creative. 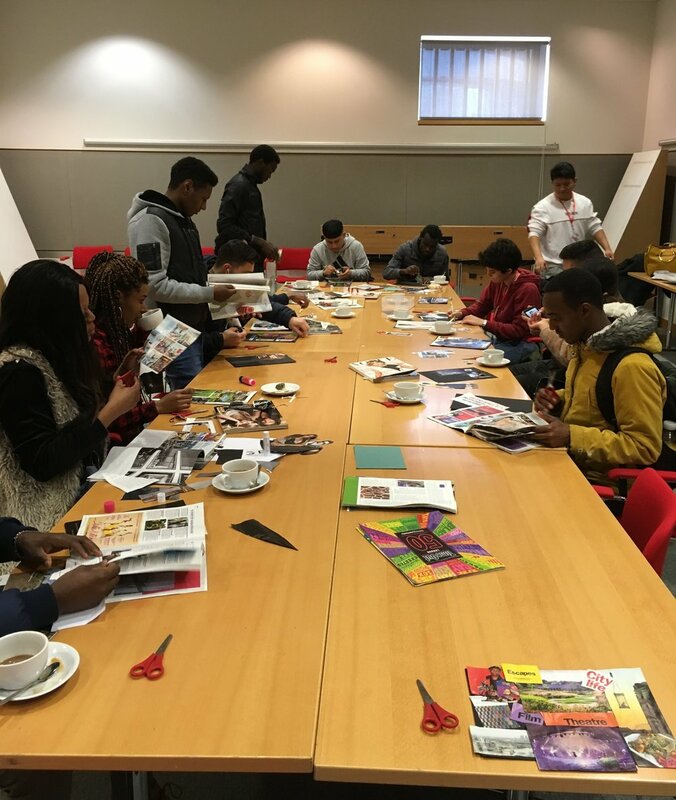 Each of the students rifled through old print magazines to select images for individual collages representing them. They then self-elected to go up to the lectern one at a time and introduce themselves and their creations. Not only was it great for us to see them practising their public speaking skills, but some of us (read: all) were in tears at how moving they were! Last but not least, on the final day, we set about creating a celebratory feast with Giorgia, our Community Chef who has returned to London after expanding her culinary skills through a winter internship back home in Italy. In keeping with the students’ requests, we made mini-pizzas (“pizzette” a la Giorgia! ), a side salad and some sweet, sweet cookies. We shared highlights of our experiences together and the students enjoyed the fruits of their labour before heading off for the Easter break. We are very much looking forward to welcoming our next group of students later this summer term!